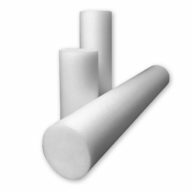 Soft Foam Built-Up Handle Offset Spoons are specially designed for left-handed or right-handed individuals who have a decreased range of motion due to arthritis, hand tremors, osteoarthritis, poor dexterity, carpal tunnel, or limited hand mobility. 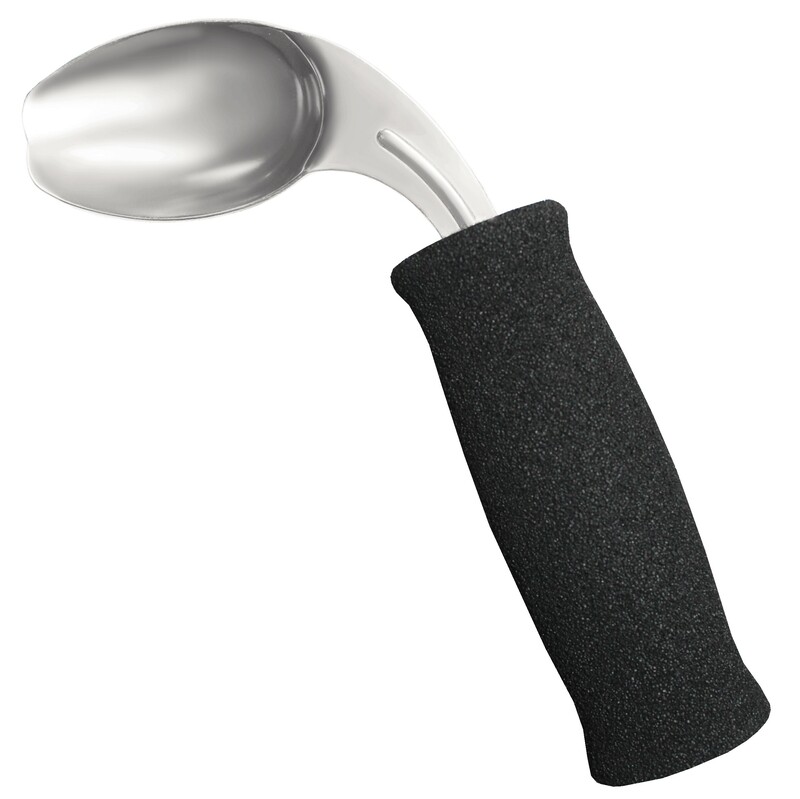 The handle of these spoons are a textured, closed cell foam to help improve one’s grasp. 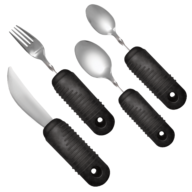 Users will find a comfortable grip while gaining more control over the utensil. These utensils are easy to clean. Simply remove the foam handle to wash the stainless-steel spoon in the dishwasher, or wash the entire utensil by hand. The inner spoon handle is made from a heavy-duty plastic to allow the user to use it as a regular utensil if no longer needing the foam handle. 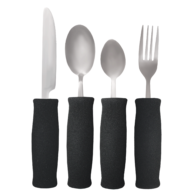 The lightweight design gives the user the same functionality of traditional silverware but with the added benefit of a larger handle. These utensils are ideal for therapists, nurses, or healthcare professionals to train patients in order to live more independently.